According to ancient folklore, some supernatural beings can only manifest when it is cold. Others use the cold to their advantage in order to achieve a certain result. When spirits appear, they require energy extracted from the surrounding air – which becomes cold as it loses energy. The mythology of winter is full of apparitions and supernatural phenomena. In this way, with its specific traditions and celebrations, the season has always fascinated people. In Japan it is said that when a woman dies from the cold she can become a yukionna, a type of snow entity with magic powers over the cold. But the power has its price as a yukionna is a type of youkai. This means that the woman becomes a kind of demon which will steal the souls of those whom she bewitches. In Japan, clothes are made to close left over right. This is for both men and women because the only clothes that close right over left are those designed for the dead . Thus white kimonos that close right over left are destined for the dead. An old belief states that if a living person wears clothes closing right over left than the individual will attract misfortune upon himself or herself. This is a way to recognize revenants and other apparitions from beyond the grave. In order to realize whether someone is really a spirit, the living person should just look at the way the clothes are fastened. This also applies in the case of the yukionna. As a yukionna is a youkai resulting from a dead woman, it would wear a white kimono closed right over left. A yukionna has an existence closely connected to the cold. The yukionna always appears on nights with snow. This entity has blue lips, black and very long hair, and pale (sometimes transparent) skin. Despite the fact that it is an inhuman entity, the yukionna can be very beautiful. She moves by floating above the snow on the ground and she leaves no tracks. A yukionna can also shapeshift into fog or snow. This supernatural entity appears as a helpless woman caught in a snow storm, but, should someone try to help her, she uses her icy breath to kill the individual. The yukionna can also appear with a child in her arms, but if someone tries to hold that child, the individual would freeze on the spot. Like a vampire, the yukionna must be invited into a house. When she is, she can come at night and freeze people to death in their sleep. In some cases, the yukionna only kills. In others, she feeds on the life essence of the living. In this way, the yukionna is a supernatural entity from Japanese folklore closely linked to the cold and ice . Ancient Norsemen believed in the existence of nine worlds connected by the branches of Yggdrasil (The World Tree). It is said that at first there were two worlds. These initial worlds were the world of fire, Muspelheim, and the world of the nine frozen rivers, cold, and ice named Nifelheim. The water and fire of these two worlds combined, generating the complex system of nine worlds. Jotunheim is one of these nine worlds. It is the home of frost giants. These giants are a constant threat to the gods of Asgard and to the humans of Midgard. They are known as jotunn or as jotnar. The River Ifingr separates Asgard from Jotunheim. The gods (known as the Aesir) do not allow the frost giants to enter their world. This is because there have been many conflicts between the two races. It is also said that the first frost giant was Ymir. He was formed from the primordial chaos known as the Ginnungagap. Ymir was said to have formed at the very moment when the frozen fog of Nifelheim entered into contact with the flames of Muspelheim. As for Jotunheim, it is a world of eternal cold, ice, and snow. Here the ice never melts and the cold is endless. The aurora borealis manifests itself in the Arctic and Antarctic areas. This phenomenon results from the collision between the atoms of the atmosphere at high altitudes and energetically charged particles. It creates colored natural lights in the sky. The aurora borealis is very beautiful and is named after Aurora, who used to be the Roman goddess of dawn, and after the Greek term “boreas” which referred to the northern wind. During geomagnetic storms, the aurora borealis can also manifest itself in regions with a lower latitude. Usually, this phenomenon appears at the geographic poles between 3 and 6 degrees latitude and at the geomagnetic poles between 10 and 20 degrees latitude. People have been inspired by this unique phenomenon ever since ancient times and during the Middle Ages, Christians believed the aurora borealis to be a sign from God. Native Americans regarded it as a dance of the spirits. Usually, this phenomenon used to appear around the time of the equinox . This is how the aurora borealis became associated with the supernatural. Another very interesting belief associated with the lights in the sky comes from the ancient Norsemen. Vikings believed the aurora borealis was a way for the gods to show humans the road to Valhalla, the Old Norse Paradise where the chosen ones joined Odin (the supreme god) at the great feast. Therefore, this was a way for the gods to prove to humans that life does not end after death. 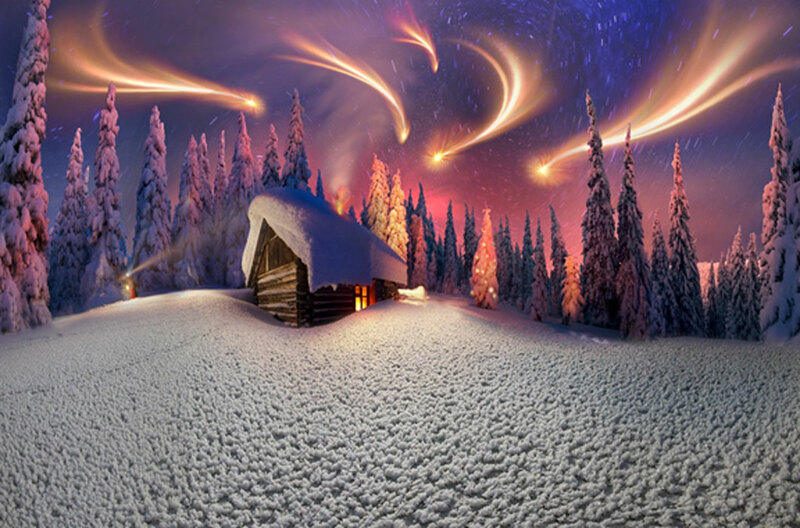 Instead, the aurora borealis appeared as a symbol of a glorious new beginning. The yeti, also known as the abominable snowman, is a being which is associated with the eternal cold and snow of the Himalaya Mountains. This being is said to reside in the mountainous area which stretches from Nepal to Tibet. Locals have included the yeti in the mythology and folklore of the area. In this context, the being is also known as Meh-Teh. The yeti became known to Westerners around the 19th century and it has fascinated people interested in cryptozoology ever since. At first, the Tibetan Lepcha people used to worship a hunting deity which was said to manifest itself as a creature of the snow. And in the Bon religion of the area, people used to believe the blood of the savage “mirgod” man was required for many magical rituals. This savage man was said to be a humanoid creature resembling a big monkey. Other descriptions state that the yeti has its entire body covered with long dark hair. The existence of the yeti has not been confirmed scientifically, yet there have been countless eye witnesses who report having seen this being or who have found its tracks in the snow. Himalayan locals continue to believe that these beings live in the frozen caves of the region and that the mountains are their territory. In Greek, Germanic, and Celtic traditions, there were a series of rituals of initiation through which youngsters had to prove that they were ready to start their adult lives. This is how some young people ended up being marginalized. 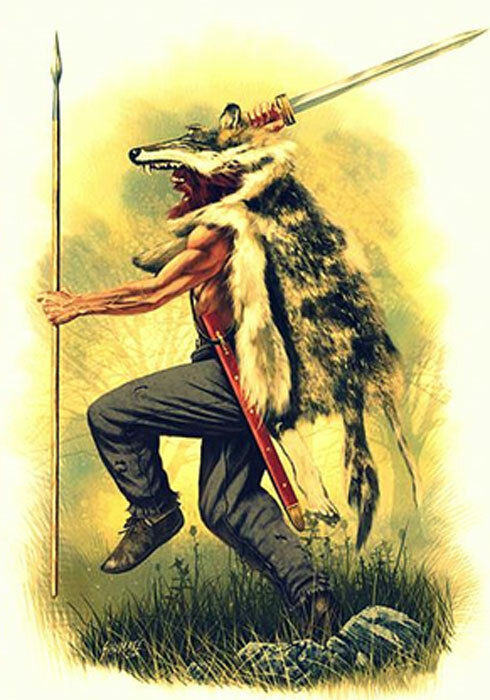 They had to form warrior groups which lived by preying on other communities. These tribes lived like wolves in a pack. This is why, in order to enter adulthood, they used to sacrifice dogs during winter rituals. After this, each individual had to wear the skin of the animal they killed for six years. After the passing of this time period, they had to burn the skin, symbolically marking their return to society. Youngsters used to become warriors during the winter ritual which implied animal sacrifice. Throughout the year, cows were usually sacrificed. However, in winter, people used to sacrifice dogs instead. The proof of these winter rituals of initiation rests with the Krasnosamarskoe site of the Timber Grave culture. This is where a large number of sacrificed dog bones and remains have been discovered by archaeologists. Once they became warriors, the young people of the community preyed on other communities. This is how they expanded their own territory and increased the riches of their community. The magic number of such communities was eight. According to archaeologists, these warrior communities might have been organized in groups of eight and each individual used to sacrifice eight animals. After the sacrifice had taken place, it was believed that the youth took upon themselves part of the power and abilities of the sacrificed animals. This is how each individual became a warrior, an adult, and a predator. The Western image of Santa Claus is not the only one. 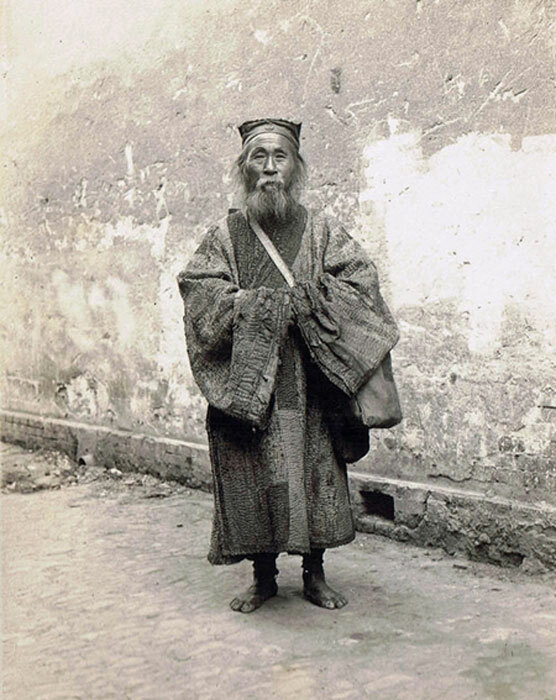 There is also a Chinese equivalent to the old man dressed in red who travels in a sleigh with reindeer and brings presents. According to legend, in Kanasi, in Xinjiang, there lived a very brave hunter named Jia Deng. As a helper, he had a pet wolf who was also his hunting partner. Jia Deng was a good hunter, but he was also good at covering his tracks. In this way, he could not be followed. The man also had a good heart. At night, he would go about the houses of the poor leaving something of what he had hunted as food for them. The next day, when they found the food on their doorstep, the people would become very happy. However, people wanted to know who the mysterious kind hearted man really was so that they could thank him. For many years, the identity of this man remained shrouded in mystery. Eventually, no more food was found in front of the houses of the poor. After six days of waiting the people organized a search party in order to find the kind stranger. They had searched for a whole month until they heard about an old man with a long white beard who had died in a cave. When they reached the cave, the people found the man dead, but they also found his hunting tools and weapons. This is how they understood that he had been the generous and mysterious kind hearted stranger. The man was buried in the village and his memory and kindness were honored. Just like Santa Claus, Jia Deng has become a symbol of kindness and generosity. In winter, trees lose their leaves and appear lifeless. Beholding this “death” of nature, man has associated winter with a kind of death which then allows nature to be reborn and regenerated even more beautifully than before. In the Greek tradition, this belief is illustrated by the legend of Persephone . She was a goddess of nature associated with the power of vegetation to grow in spring, to make flowers in summer, and to give fruit in autumn. Demeter was this goddess’ mother. She never wanted her daughter to leave her side so she never let her out of her sight. One day, Hades saw the beautiful Persephone and he fell madly in love with her. He ended up kidnapping her and taking her to his subterranean world. In despair, Demeter started looking for her daughter. During this time period, she did not allow vegetation to flourish. 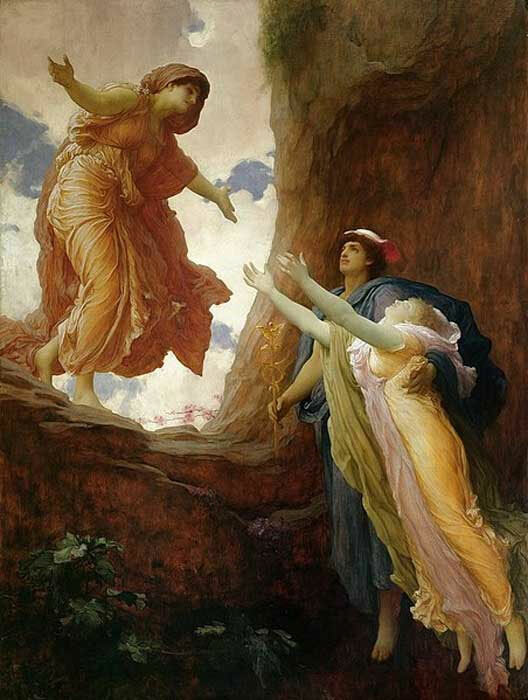 Finally, Helios (the all-seeing Sun) discovered what had happened and told Demeter about her daughter’s abduction. This was how Zeus was forced to intervene. He had to save humankind from starving so he forced Hades to return Persephone. But the god of the Underworld also had a plan. Before returning her to her mother, he gave Persephone some pomegranate seeds. According to myth, whoever eats the food of the Underworld is forced to live there. Therefore, even though the goddess was returned to her rightful place she must visit Hades every year for a few months in order to survive. These are said to be the winter months. Nature dies in winter because Demeter mourns the absence of her daughter and it is reborn in spring as she is returned to the world of the living. Birrell, A 1999. “Chinese Mythology – An Introduction ”. Johns Hopkins University Press. Bulfinch, T. 2016 “Bulfinch’s Greek and Roman Mythology ”. CreateSpace. Hamilton Wright Mabie, 2002. 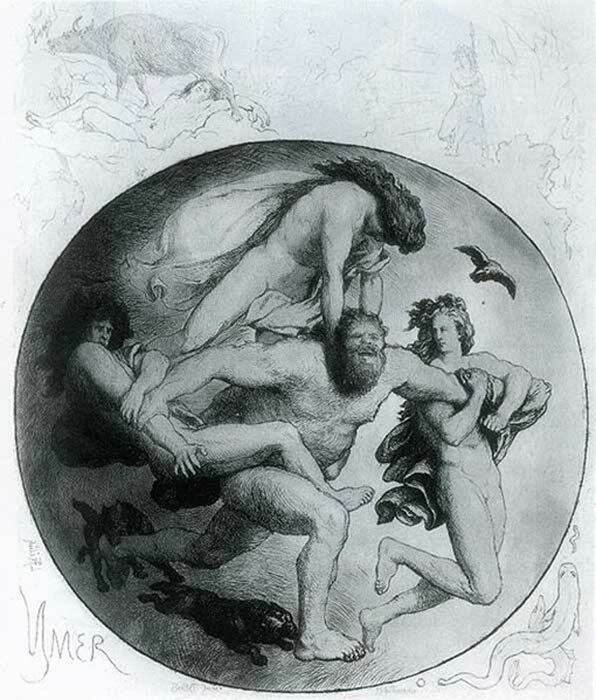 “Norse Mythology – Great Stories from the Eddas ”. Dover Publications. Redfern, N. 2015. “The Bigfoot Book – The Encyclopedia of Sasquatch, Yeti and Cryptid Primates ”. Visible Ink Press. Snorri Sturluson. 2006. “The Prose Edda – Tales from Norse Mythology ”. Penguin Classics. Webbe Dasent, Sir George. 2009. “Popular Tales from Norse Mythology ”. Book Jungle.